Thank goodness someone wrote names on a copy of the photo. It appears we can ID six of the above. 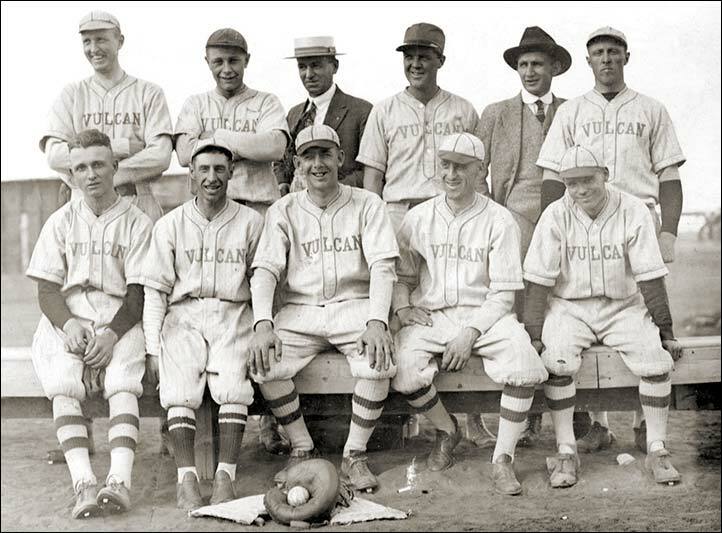 Back row, extreme left - outfielder George Errol Winterbotham. Third from the right is Leo "Frisco" Edwards, and extreme right is Ernest Sigsby/Sigsbee. In the front, extreme left is Gerry Goldman. Extreme right, A. Porky Dallas and second from the right, Emery Webb.